By default, the “Default contract” would affect all the employees. 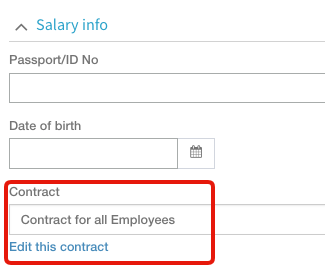 click on the pencil to edit his info, scroll to “Salary Info”, select the contract you created for him and click “save” . You can also edit the contract from here.